One day, a woman, after a great disillusioned love, chose to melt her jewellery for a fresh start. Didn't the old time alchemist start his work by purifying his metals in the Athanor, the original melting pot? That is how LE BUISSON was born, a jewellery editor for recognised artists and designers, founded by Francis Fichot and Michèle Monory in 2011. LE BUISSON proposes to contemporary artists to explore the jewel, just as painting, sculpture, video, performance. They choose internationally well-known creators and give them free mentorship, whilst supervising every step from conception to the making of the pieces. Art is embodied, next to the skin. It is the fragment of an adventure, the artist's look worn on yourself. 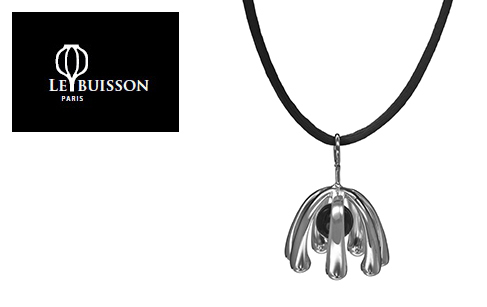 LE BUISSON proposes an experiment, a little far away from traditional jewellery. Every jewel expresses at the same time the belonging to an artist's family and the need of freedom.